Is there such thing as group health insurance for self employed people? Home / FAQ / Is there such thing as group health insurance for self employed people? There are a few ways that you can purchase a group health insurance plan even if you’re self-employed. If you’re self-employed and run your own company that employs at least one other person full-time, you are eligible for a group health insurance policy from any insurance provider that sells them. This is because group health plans, especially those for small businesses, start with just two employees. Find group health insurance rates within minutes just by putting your zip code in the box above! Another way to get group health insurance is to find out if your local chamber of commerce has a group plan that you can buy into. 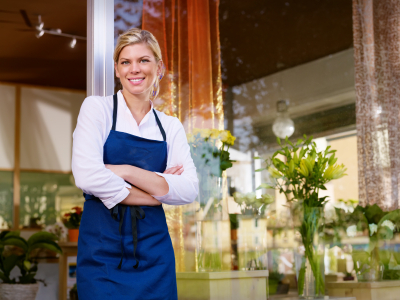 Many offer insurance to local businesses that are members of the chamber and have 2-49 employees. Your business may also qualify even if it’s home-based, as long as it has the right licenses. You should also check into group plans that may be offered by any professional associations or alumni organizations to which you belong, such as the American Bar Association or Rutgers Alumni Association. This would allow you to benefit from the reduced prices that come with the purchasing power of a large group of policyholders, even though you are just insuring yourself and, possibly, your family. How much can I expect to pay for group health insurance? You should also ask the agent about any discounts you for which you may be eligible based on other types of insurance policies you may have with the insurance company. Because you’re purchasing group health insurance, you may not qualify for other discounts, but it’s always worth asking about them. Can I pick the type of plan I want with group health insurance? Whether you have a choice of different plans with a group health insurance policy is wholly up to the policy itself. If you’re getting a policy as part of your employer-sponsored group plan, most likely, you won’t have a selection, but will simply have to choose what is offered. In this case, you should at least have the flexibility to also insure any dependents, such as your spouse and children. However, if you’re the employer looking to get a group health plan for your employers, you’ll absolutely have a choice of plans from virtually any health insurance provider, as long as they provide coverage in your area. What type of group health insurance plans are there? Available group health insurance plans are as diverse as individual health insurance plans, ranging from PPOs, POS, and HMOs to high-deductible plans and HSAs. Your group plan may have co-payments with no deductibles, or deductibles, co-pays, and monthly premiums. The most important thing is to make sure that the group plan you choose fits your group’s needs. While everybody is looking to save money in this current economic state, it’s in your and your employee’s best interests that you sign up for a plan that will offer the coverage that is beneficial to all and not just about saving the bottom line. Find a local independent insurance agent who can serve as a sounding board to discuss your needs and your budget. An independent insurance agent represents more than one health insurance provider, so they have access to many different plans and know which ones will fit in your situation. You may also decide to do most of your research on the Internet, narrowing down your search to a few insurance companies that seem to offer what you’re looking for. At that point, call up those individual providers and talk to their customer service representatives. Have a list of questions to ask that will help you narrow down your choice to one company and one plan. Then contact the company administering that plan and just make sure it is as good a fit for your company’s health insurance choice as it seems on paper. To start your Internet research, type your zip code below, and peruse the health insurance quotes from providers local to you! Where can I compare health insurance for self employed people? How do I obtain self employed health insurance coverage? What can health insurance companies for self employed people offer me?